If you are looking for natural, relaxed wedding and family photography in and around Surrey then you’re in the right place! I’m your go-to wedding photography specialist, providing top quality photography services in Surrey and all surrounding communities. I understand that although your wedding may happen just once in your lifetime, the wedding photos can last forever. That’s why I take so much pride in my custom, completely one-of-a-kind photography services that complement any kind of wedding venue. Whether you’re planning an upcoming wedding, need a last-minute fill-in, are looking to set up family portrait shots, or are hosting some kind of family event that needs quality photography, I’m your go-to Surrey Photographer. Every couple comes with their own personal story of how they found each other and fell in love. I specialize in not only capturing this story with couples photography but also setting the stage for the future of your story, giving it a new perspective. Your wedding is a once-in-a-lifetime public declaration of your love for one another, and that’s exactly what each and every one of my wedding photos will showcase. Knowing your wedding daydreams enables me to create authentic, eye-catching, and stunning images that enhance the real you. My shooting style produces images that reveal the intimate and authentic expressions of the love and commitment you share, completely unguarded, natural, and full of tangible emotion. They’re cherished wedding photos you will keep and show your grandchildren years from now. Every wedding is filled with intimacy, surprise occasions, and infectious joy that will carry you and your partner throughout your lifetime. Here at MrShutterbug’s Surrey Wedding Photography, I want to tell that love story. Shy smiles, tousled hair, cheek kisses, bear hugs… they’re all part of the indescribable experience of raising a family. It’s the little moments, those moments filled with love, laughter, and lives shared around the dinner table, as your children quickly grow up into the adults you raised them to be. As any parent knows, these moments come and go – all too fast – which is why capturing them forever in family photography is an investment you’re going to love. As a Surrey Family Photography, I am able to capture these fleeting moments of gratefulness, bonding, and shared joy with just the click of a camera. I look for the story to be told and find a way to make your family’s individual story that much more tangible. Family photography holds a very special place in my heart, as I love nothing more than to help the families of Surrey get their hands on family portraits that will last forever. Most importantly, I have a knack for detail, always exploring different lighting, backdrops, angles, and emotions in the creation of my story-telling craft. As a Surrey photographer, I know the people of our communities inside and out, which is why I work to create a natural, gorgeous, and stunning finished result in my photography that you are going to love. I don’t work with mediocrity – I work with top quality, because I want that for you. Family and Wedding Photography is the legacy you will give your children and your children’s children. You want them to hold naturally stunning wedding portraits and family photos in their hands one day. That’s what we can do together. If you are looking for a wedding photographer Surrey to tell your story, MrShutterbug Photography is the one. Welcome to MrShutterbug Photography! 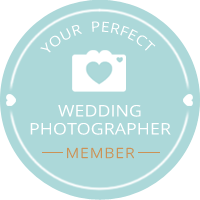 We are proudly an award-winning Surrey Wedding Photography, Family & Wildlife team that specializes in memorializing the essence of beauty, fun, love, laughter, and romance through natural lighting and settings. 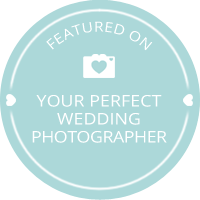 Located in Egham, Surrey, MrShutterbug is able to provide Surrey wedding photography, as well as weddings, family, and happy couples sessions in London, Berkshire, and Hampshire.